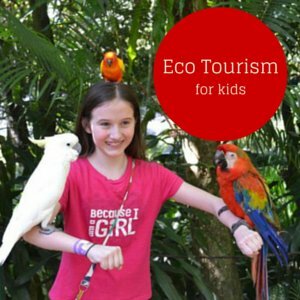 A visit to Loro Parque is one of the best things to do in Tenerife with kids. Children will love seeing the dolphin and seal shows. Don't miss out on the colorful parrots, the slip sliding penguins and lovable chimpanzees. The Planet Life documentary can be watched on the mirrored domes. Toddlers and children will love climbing on the playground and or riding on the Orca roller coaster. 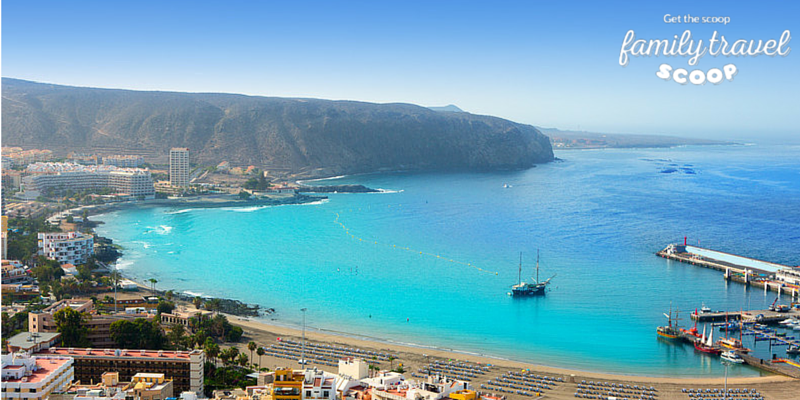 Spend the day at Tenerife's top attraction with your family. The park is located in Puerto De La Cruz. Lago Martianez is one of the fun Tenerife attractions for kids located in Puerto de la Cruz. This natural water playground was designed by artist Cesar Manrique of the Canary Islands.It has several salt water pools with pebble bottoms that are filled by the sea. 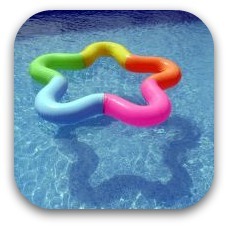 There is a great pool for your babies and toddlers that is about a foot deep with some toys to play on. There are restaurants and a bar here. You can rent sun beds and umbrellas for the day. Siam Waterpark is one of the fun Tenerife attractions for children. Your teenagers will be thrilled with the daredevil waterslides, the kids will love playing in the wave pool. Your toddlers and babies will have fun splashing in the Baby Zone. The whole family will love floating on the lazy river. The park is located in Adeje.Your kids will love a visit to Monkey Park where they can get up close and feed some of the wildlife. Bring some fruit with you (or purchase dried fruit and nuts at the park) and head there in the morning while the monkeys and lemurs are hungry. There are monkeys, marmosets, lizards, guinea pigs and more! 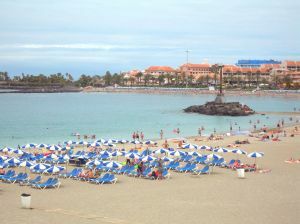 It is located in Los Cristianos. Learn To Surf! You will find lots of surf shops in the coastal towns offering lessons for kids. Grab a surfboard and learn to ride the waves with the instructors. Head to the beach for the day. Your toddlers and young children will love building sand castles in the sand. 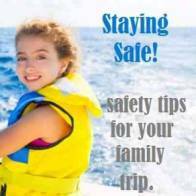 Your older children and teenagers can splash around in the sea. Be sure to check out one of the black sand beaches! Don't forget to pack sunscreen, sun hats and beach toys! Explore the amazing underwater sea life on the Submarine Safari. 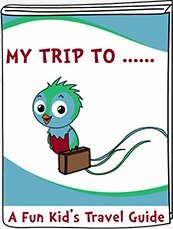 This is a great Tenerife excursion for babies, toddlers and small children. They will be excited to see the exotic fish and beautiful coral. This glass bottom boat leaves from San Miguel Marina (free bus from Los Cristianos and Playa de Las Americas). Ride a Camel at Camel Park located a few minutes drive from Los Cristianos and Playa de Las Americas. This lovely rural farm is a great place for the kids to see camels, goats, donkeys and more! There is a typical Canarian house on site and a restaurant serving local fare. Go for a fun Downhill Bike Tours! with your older children and teenagers (ages 8 and up). 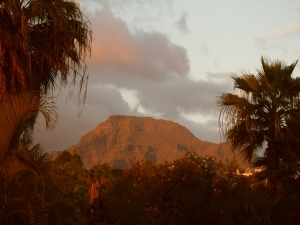 You ride in a minivan part way up Mount Tiede and then enjoy a relaxing ride down the mountain into Los Cristianos. Enjoy the Tenerife country life and stop for a picnic along the way. No visit to the Canary Islands is complete without sampling some of the delicious Spanish Cuisine. There are lots of restaurants offering the local fare including fresh seafood, paella and the famous Canary Islands Papas Arrugados (potatoes with mojo sauce). Don't miss out on these Spanish food for kids. Or check out nearby Portugal! Parque Nacional Las Canadas Tel Teide is a must visit attraction for families that want to experience the sheer beauty of this island. The kids will be thrilled to go through clouds and see the volcanic rock. There is a cable car ride part way up the Volcano. If you want to hike all the way to the top you will need to arrange a special permit in advance. It can get quite chilly up here so make sure everyone has warm clothing. If you are traveling with teenagers or older kids you may want to take the cable car one way and hike back down (several hour hike). One of the best things to do in Tenerife with kids in the evenings is to watch the dinner show at Medieval Adventure at Castillo San Miguel. The whole family will love cheering on their knight in the jousting tournament and exploring the castle. And where else can the kids eat their dinner with their hands-medieval style! This is a great family night out. Parque Taoro is a local park in Puerto De La Cruz with lovely paths that lead to a beautiful waterfall. 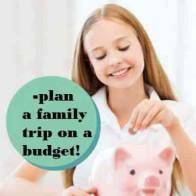 The kids will love seeing the pretty flowers along the way and the mosaic art walls. This is a great place for a relaxing family walk. Hop on board a Whale & Dolphin Tour while on your Tenerife family holiday! Pilot whales can be seen year-round of the coast of Playa de las Americas. There is a good chance to spot dolphins swimming nearby. Your toddlers and children will be thrilled! 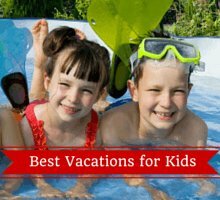 This is one of the best things to do in Tenerife with kids. 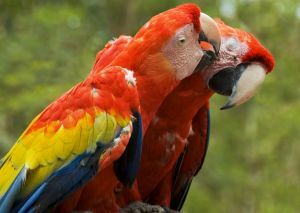 Spend a few hours at Aguilas Jungle Park with the kids. Catch the bird of prey shows, check out the orangutans, gibbons and lemurs and the lions, tigers and jaguars. The kids will have a fantastic time on the jungle raid playground where they will climb ropes, climb through tunnels and cross bridges. There is also an 800 meter track where you can ride a sled down. Plan your adventure in the Canary Islands here! Tenerife family hotels & resorts for all budgets. Beaches and more fun thing family attractions in Tenerife!